European Companies: Why Invest Now? European companies with strong growth potential have been discounted because of negative investor sentiment about the EU, resulting in these companies being undervalued relative to their U.S. counterparts. Major European companies have been discounted because of negative investor sentiment about economic prospects for the European Union (EU). As a result, strong companies with high growth potential appear undervalued relative to their U.S. counterparts. Labor market reforms that may lower costs, potentially enhancing productivity and corporate profitability. 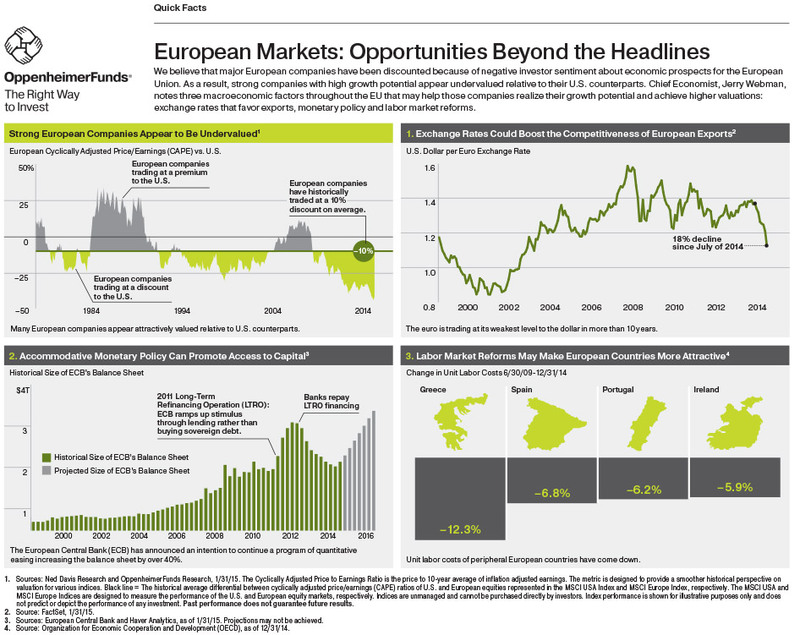 Read about the case for considering investments in European equities or check out the infographic, and learn more about OppenheimerFunds and The Right Way to Invest.